Show everyone just how hot your bowling game is with these shoe covers! Order one size larger. Men's medium intended to fit 9-11 size. I wear size 10 and these don't even come close to fitting. I'm keeping them and giving them as a gift to a female bowling friend of mine. I will reorder a large size, since the covers are attractive. Don't fit the shoes. I have a size ten, they recommended a large size and they don't fit. Will they keep the shoe dry when using the restroom or bar area? 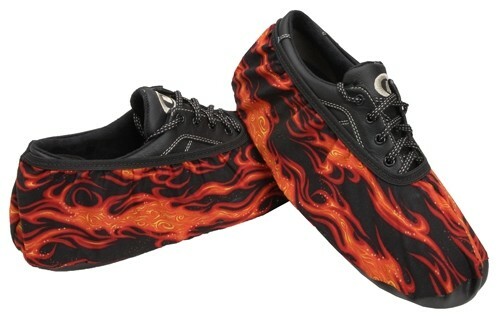 Due to the time it takes to produce the Master Mens Shoe Covers Flames ball it will ship in immediately. We cannot ship this ball outside the United States.